'A beautiful little book by a brilliant mind' Steven Poole, DAILY TELEGRAPH The world-famous cosmologist and #1 bestselling author of A Brief History of Time leaves us with his final thoughts on the universe's biggest questions in this brilliant posthumous work. Is there a God? How did it all begin? Can we predict the future? What is inside a black hole? Is there other intelligent life in the universe? Will artificial intelligence outsmart us? How do we shape the future? Will we survive on Earth? Should we colonise space? Is time travel possible? Throughout his extraordinary career, Stephen Hawking expanded our understanding of the universe and unravelled some of its greatest mysteries. But even as his theoretical work on black holes, imaginary time and multiple histories took his mind to the furthest reaches of space, Hawking always believed that science could also be used to fix the problems on our planet. And now, as we face potentially catastrophic changes here on Earth - from climate change to dwindling natural resources to the threat of artificial super-intelligence - Stephen Hawking turns his attention to the most urgent issues for humankind. 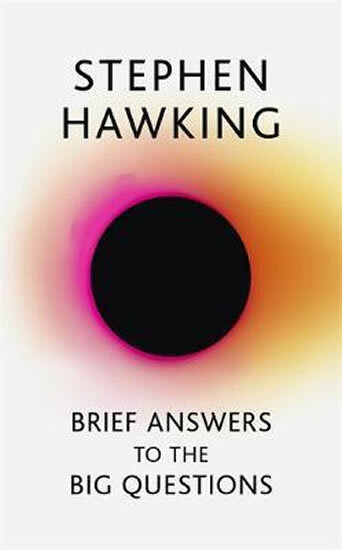 Wide-ranging, intellectually stimulating, passionately argued, and infused with his characteristic humour, BRIEF ANSWERS TO THE BIG QUESTIONS, the final book from one of the greatest minds in history, is a personal view on the challenges we face as a human race, and where we, as a planet, are heading next. A percentage of all royalties will go to charity.